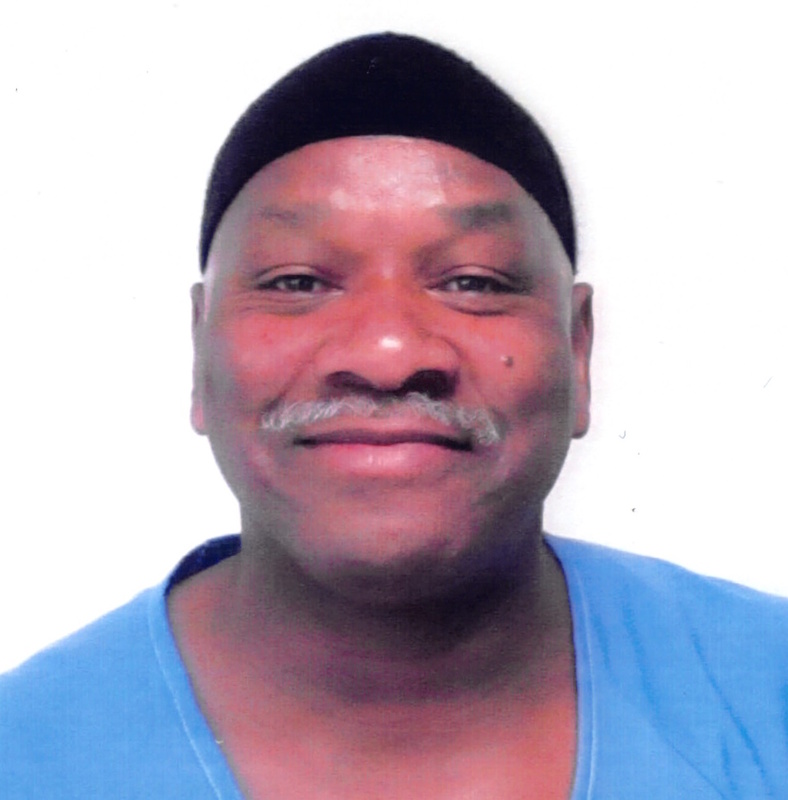 Sitawa Nantambu Jamaa (s/n Ronnie Dewberry) has been in prison since 1980 while totally innocent of what he was accused of and convicted for. 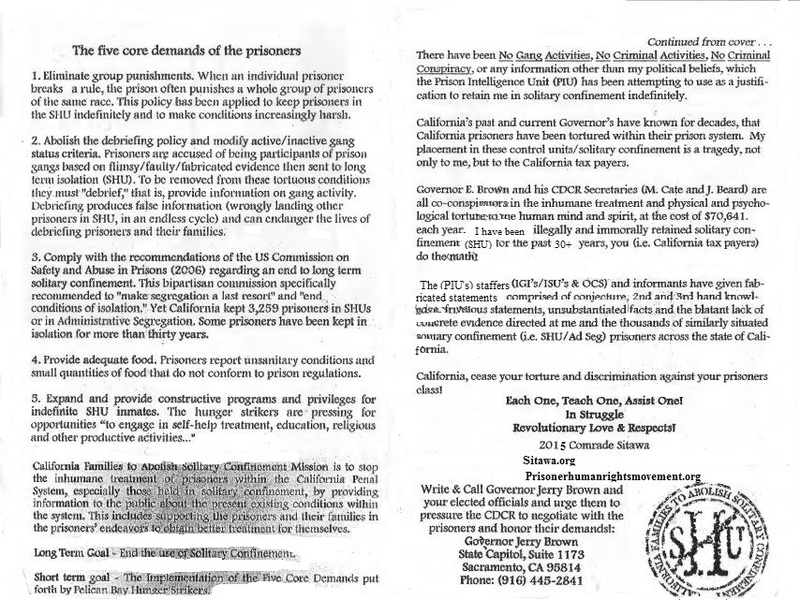 He spent 30 years isolated in solitary confinement (1985-2015) – and he was released to “general population” at the end of 2015 – despite his leadership as one of the four main representatives of the Pelican Bay Short Corridor Collective, who, through peaceful protests and the Agreement to End Hostilities, have transformed and brought a glimmer of hope for human rights to the California prison system. 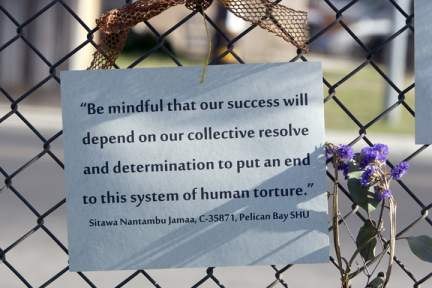 You can read about Sitawa’s innocence and his Freedom Campaign here and here. Please join us to fight for his justice and rightful release! 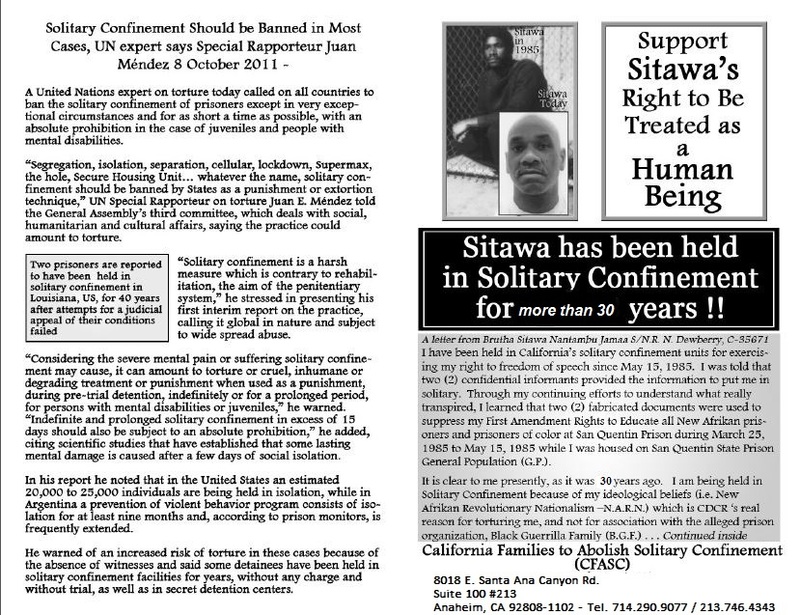 Sitawa has been held in solitary confinement for more than 30 years!